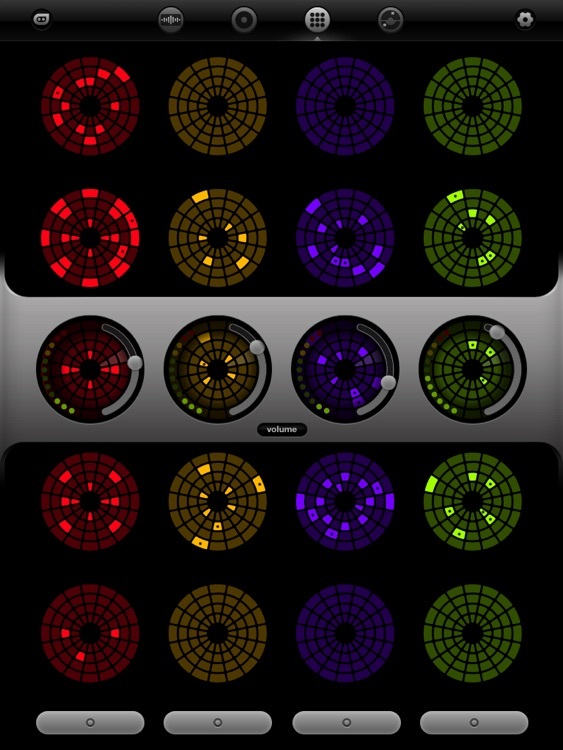 Turn patterns into awesome beats with this music app. Loopseque it's a new music ecosystem which includes powerful sequencer, sampler, fx processor and record store with many beautiful releases from talented artists. The basement of Loopseque is a circle - a natural solution for visualization of cyclic music structure. Music starts with the first touch and within seconds becomes alive. It’s not just a rhythmic pattern in your hands, but the whole composition. Playing Loopseque doesn't require music education or any professional skills. An intuitive interface combined with inspiring sounds gives an opportunity to plunge into the world of music to everybody. Loopseque serves as a catalyst for collective creativity both online and in real life. Here and now, any band can create its own music, easily and fun. Thanks to the social integration inside the app, all musicians can publish there records to the web and share projects with friends via e-mail. 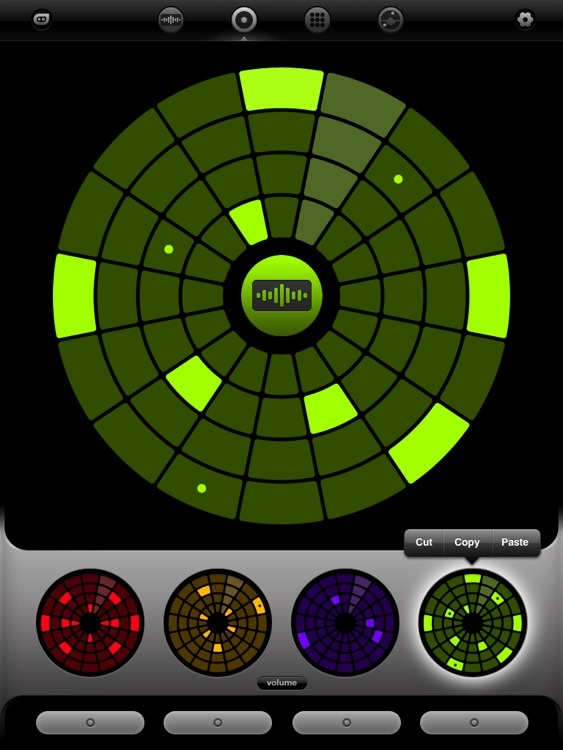 Despite its apparent simplicity, Loopseque is a challenge to the musician. How fast you can change the patterns, which patterns you create, what effects you use – that’s what makes the difference and determines the quality of music material. It does not matter how old you are, what education, faith, political views, tastes and preferences you have. Loopseque is simple, it is even easier than it seems. You always see what is happening. You can create, edit, produce your song as if you've always made music. 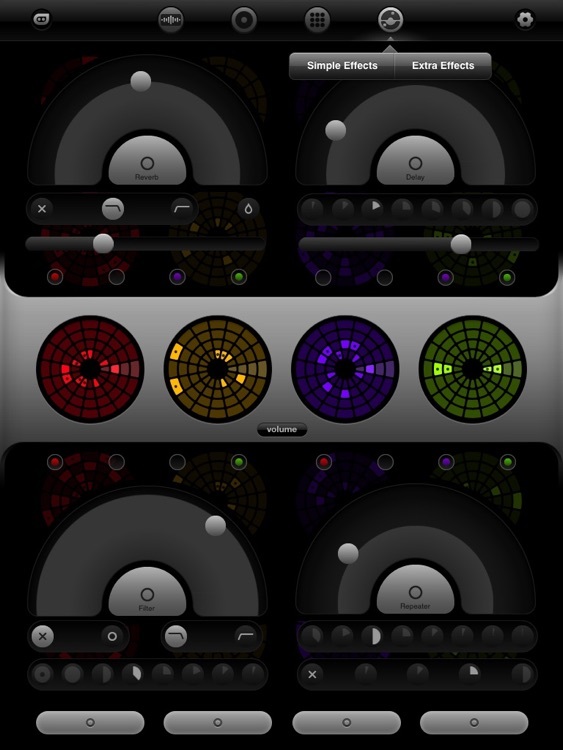 With Loopseque you are a musician, a composer, a producer and a creator. Without delay, at first glance. Doors of Perception are open. 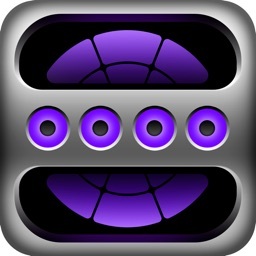 • Easy to use sequencer. • Sample editor, uploader & browser. • Live track recording & loop bouncing. • Project sharing via e-mail. 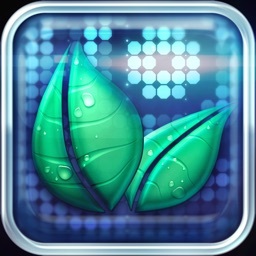 • 22 professionally designed electronic sample sets. • 14 original project presets. • Loopseque Store with new projects and tracks by talented artists. 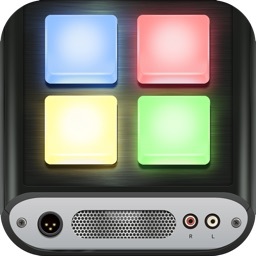 • Dropbox Sync and iTunes File Sharing for your own sounds. • Audio copy/paste (General Pasteboard with import and export). 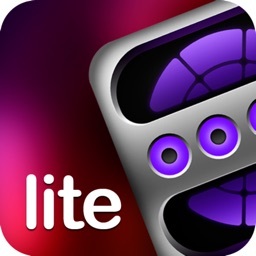 • WIST support for syncing with other iOS music apps. • Master Classes & Tutorials. 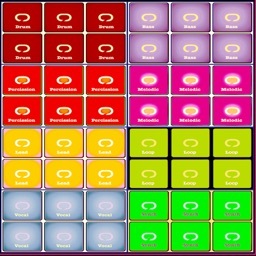 • MIDI-out: Clock, Events, CC, Latency. • MIDI note for each circle: channel, velocity, volume, root key. • Attack, Release, Start and Length for each note. • 4 pads for X/Y parameters, 2 sliders and 8 buttons. • 32 bit internal audio engine. • 4x4 channels of audio tracks. • 9 patterns per channel. • Volume control for each channel. • Tap tempo & cue sync. • Cross-project sample set transfer. 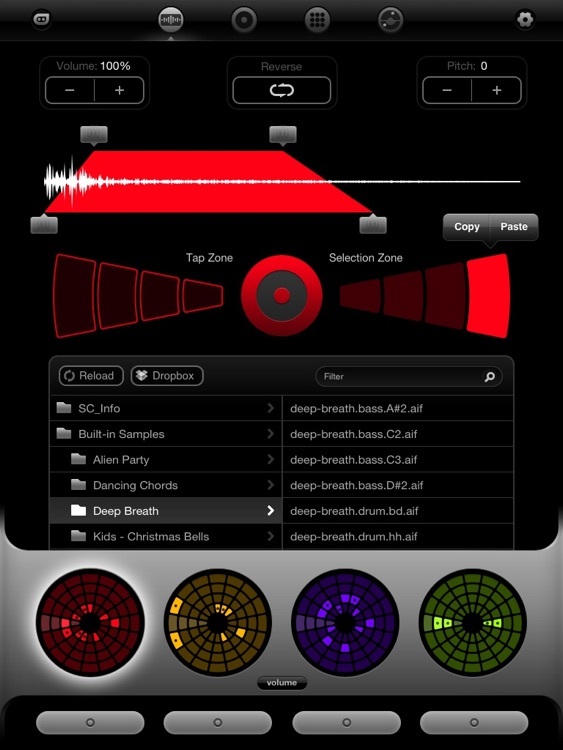 • Simple FX set: Filter (LP & HP mode in one amazing control), Beat Repeater with automatic quantize, Reverb. • Extra FX set: Delay (two modes: stereo and mono), Filter (LP, HP) with LFO, new Reverb and Repeater with reverse mode and manual quantize). • All FXs can be assigned to each of 4 channels (one-button extra fast routing). Loopseque’s first release was in August 2010 and was appreciated by the audience. A month in the top most popular music applications in the USA, – the most volume market applications in App Store. Numerous stuff-favorites, “what’s hot” and top Sales chart in the music section of the world, including the UK, Japan, Germany and many others. 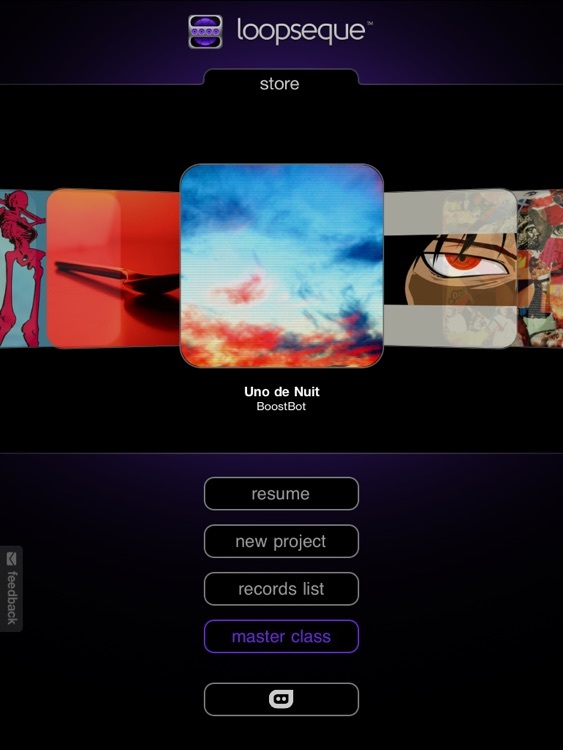 Loopseque is created by Casual Underground international community which comprises of musicians, developers, designers, artists, journalists and producers. Casual Underground lab specializes on research & development in interactive performance area, combining entertaining conceptions with high requirements to usability, advanced technical solutions and wide social integration. Today’s AGF list includes a streaming radio app, a productivity app, and a currency converter. Today's AGF list includes a streaming radio app, a genre-mashing strategy game, and an app for tracking drinks.